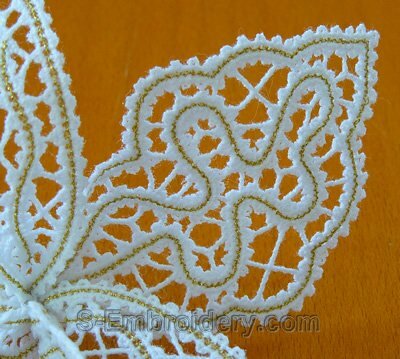 A freestanding lace machine embroidery design in Battenberg lace technique. 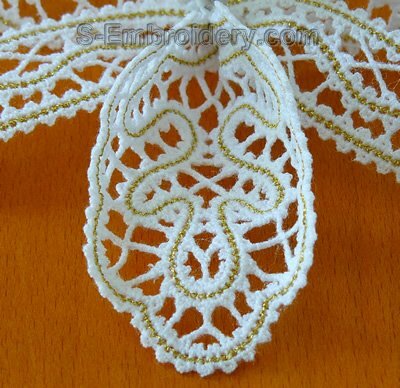 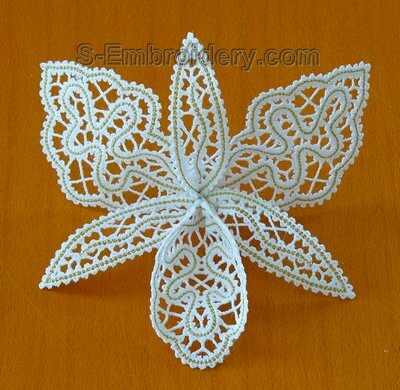 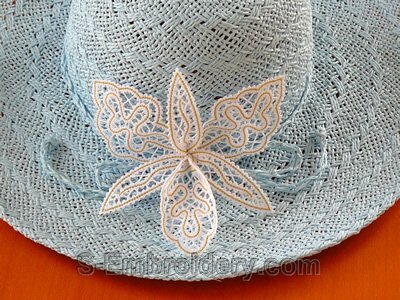 With this design you will create a 3D freestanding lace orchid which can be used to create an interesting bridal hair fascinator or you could use it to decorate a lady's hat. 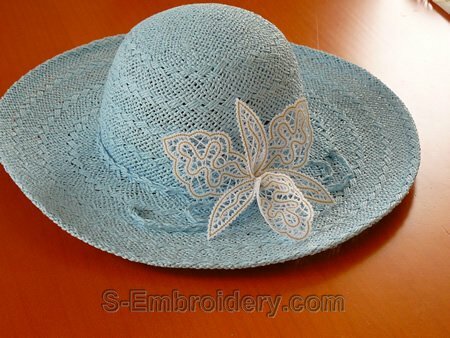 The design is split in 2 parts that can be stitched in 5x7 (130 x 180) hoops. 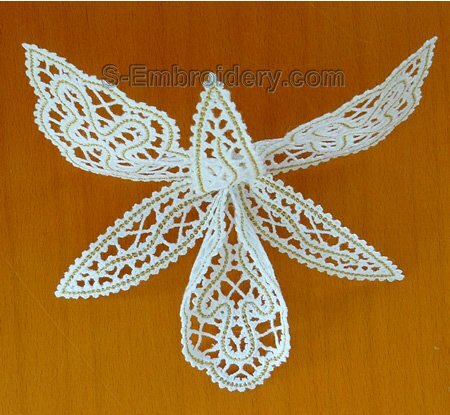 You receive 2 machine embroidery files in one of the supported formats and 2 PDF files with design information and instructions for putting the 3D freestanding lace orchid together.